These three words are so very suggestive for me and when used in combination they give rise to a flood of memories. My Granddaddy Stephens and my Pawpaw Wright were farmers. They had other jobs, of course. Granddaddy worked in the cotton mill down in Jacksonville, Alabama as a “fixer”. Pawpaw worked at the steam plant at Fort McClellan. Both of them though, started their lives as farmers and farmers they remained until the end of their days. Granddaddy had the most wonderful John Deere tractor on the face of the earth. Now, you and I both know now that it was nothing more than an ordinary tractor, but to a wee lad it was a truly magnificent machine. 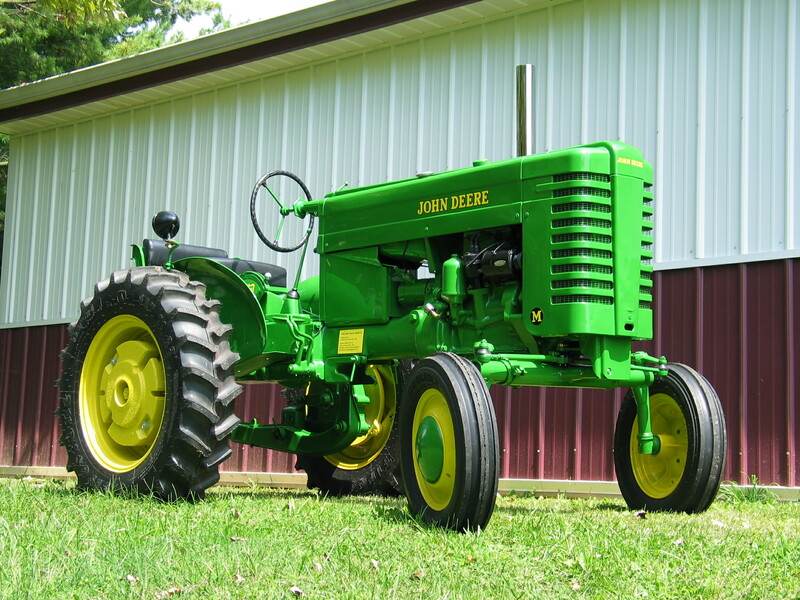 The tractor was green with the name “John Deere” painted on both sides in bright yellow paint, and the tires were half again as tall as I was. Every joint oozed thick, gelatinous grease to keep the parts moving smoothly. Even now, fifty-five years later, I can smell the thick, heavy aroma of the grease combined with dust and age. To this day, that smell takes me back to his little farm just outside Piedmont. “Now, don’t get too close while I’m plowing Son, those discs will cut your foot off” he gently reminded me as he started the engine. 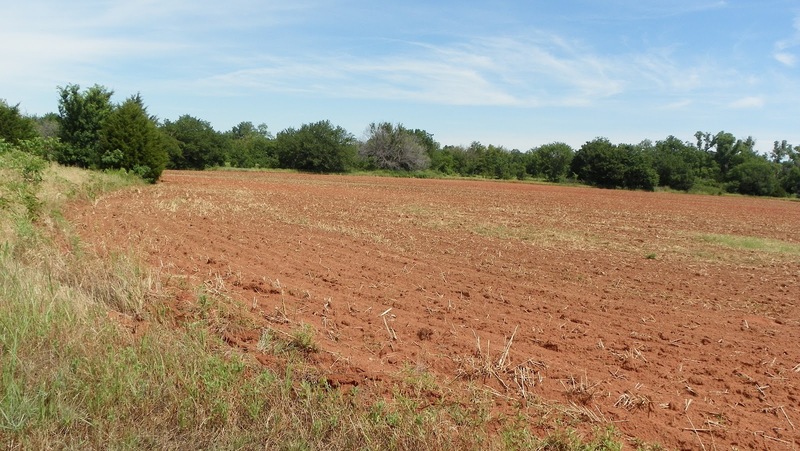 I stood well back, at the edge of the field as he aligned the giant green machine with the rows that would soon be sprouting with corn that matched the color of the tractor. The plow lowered to the ground and Granddaddy and John Deere began the laborious trek to the other end of the field. I immediately began to trot along behind him. My bare feet sank into the warm, moist soil. My soul was filled with the petrichor aroma of the damp brown earth. Those smells still speak to a part of me that longs to return to a life of coaxing food from seeds. They take me back home. 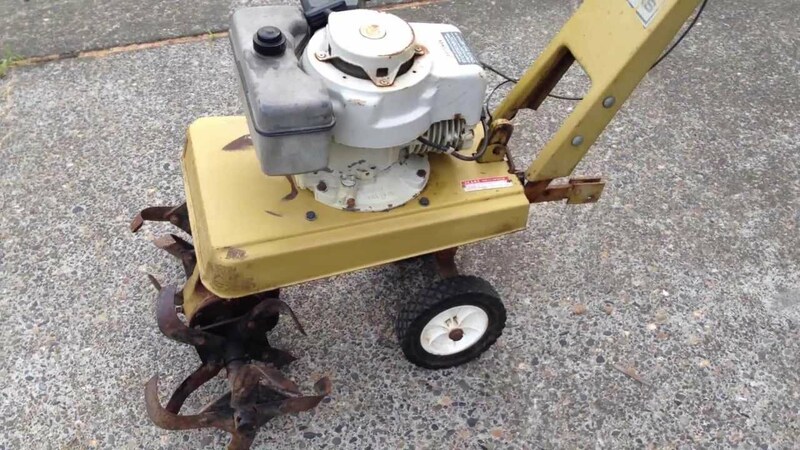 Later, working with my Pawpaw Wright in the 1970s we were reduced to using a roto-tiller. After selling the majority of his farm, Mister Wright also disposed of his farming equipment. The soil at his place was blood-red with a high clay content. When wet, it left stains in our clothes that were nearly impossible to get out. But, despite the difference in texture and color, it had the same delicious aroma of soil all around the world. When I think of home, it’s almost always raining in my memories. 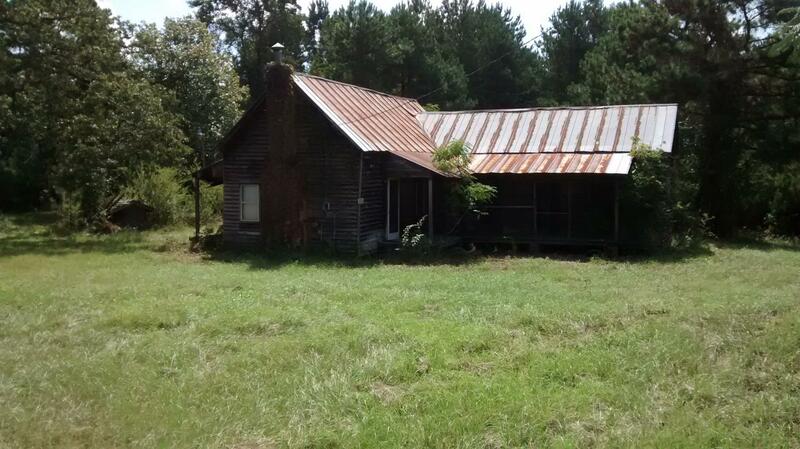 When I was no more than five or six years old we lived at the “Old Homeplace” as Mawmaw called it. It was a great, unpainted, L-shaped house with a high-peaked tin roof. There was no insulation in those days where we lived, anyway, and when the summer rain fell in huge drops on that roof the sound was astonishingly loud and somehow calming. We sure didn’t need to look out the window to know when the rain stopped! Later, around 1965 we moved into the house where Mother still lives today. It’s a smallish place and in those days it was nestled under three enormous oak trees. You can read about our adventures in the oak here. We had a longish driveway flanked with peach, hickory, and walnut trees and the house was on a lower level than the road. When the rains came the water came rushing down the driveway like a mighty river, flooding the front yard. In summer, the water was warm and we adored playing outside in it. We’d stomp around the puddles and rivulets as though we were trekking down the Amazon. Oh, did I mention puddles? The area where the driveway met the dooryard was always “wallowed out” due to the action of the cars coming in and out and turning round and so forth. So, that puddle became a huge lake for us. Nearly ankle-deep and brown as coffee with cream it was the site of many an ocean adventure and naval battle for my brothers and me. From time to time our parents would ask the man who graded the road surface to make a pass on our driveway to “fix” the ruts and the puddle in the dooryard. As adults, I reckon they didn’t know they didn’t require “fixing”. 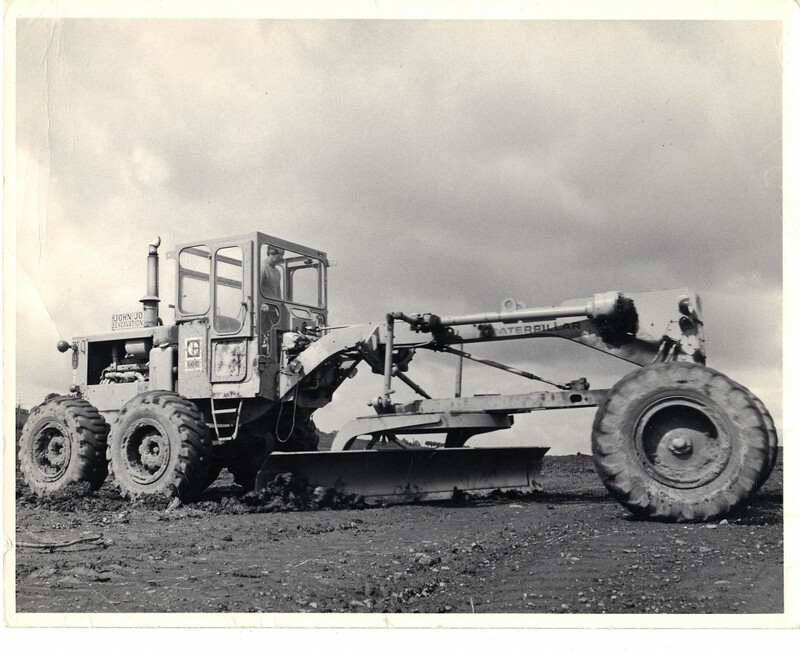 We loved having such a giant machine on our place but we were filled with anguish to know our rivers and ocean were being buried under tons of loose chert soil and stones. In spite of their best efforts though, erosion did take its course and we soon had our rainy day play area back. Growing up in the countryside near a tiny, unknown burg in northeast Alabama was, perhaps, the greatest blessing of my life. We had the benefit of parents and grandparents who cared deeply for us and were possessed of the wisdom to allow us to explore our world. So, the words home, soil, and rain resonate with me. They bring memories, yes, but they also remind me that I am, and always have been, a very fortunate person. What do these three words, used together, mean to you? These fellows are protesting because they can’t get a copy of New Yesterdays. Fortunately, you don’t have that problem. Just select one of the links and yours will be on the way to your house today! This entry was posted in Memories, New Yesterdays, Random Musings, Wright Tales and tagged Alabama, farming, Home, Memories, petrichor, rain, soil, writing prompts. Bookmark the permalink. LOVED it!! So many memories came flooding back!! I can still see that place from my window on Bus 23!! THANKS!! Thanks for stopping by to visit, and especially for leaving a few words, Tim!